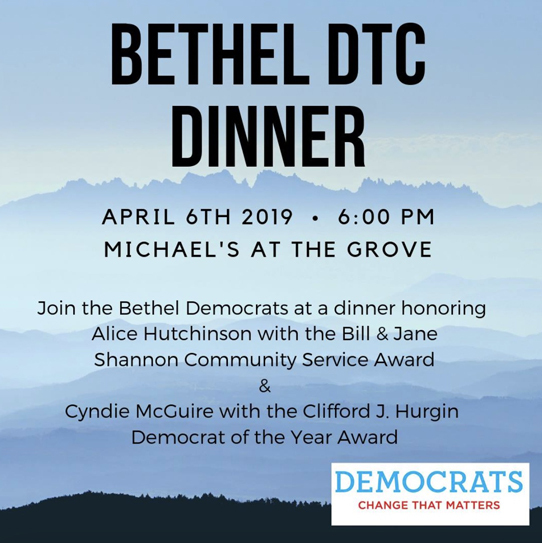 The Bethel Democrats invite you to join them at their annual dinner as they honor Alice Hutchinson with the Bill and Jane Shannon Award for Community Service and Cyndie McGuire with the Clifford J. Hurgin Democrat of the Year Award. 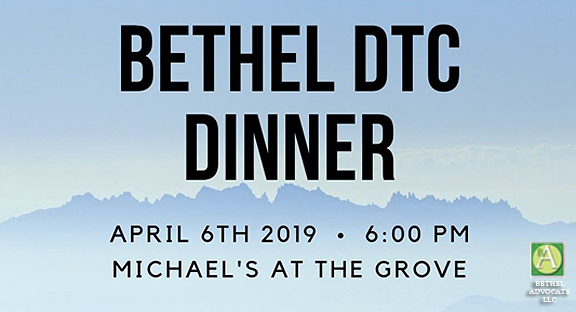 This year’s dinner will be held at Michael’s at the Grove in Bethel, and they expect many of their elected officials to be in attendance. Please join them! Honoree Alice Hutchinson will receive the the Bill and Jane Shannon Award for Community Service. 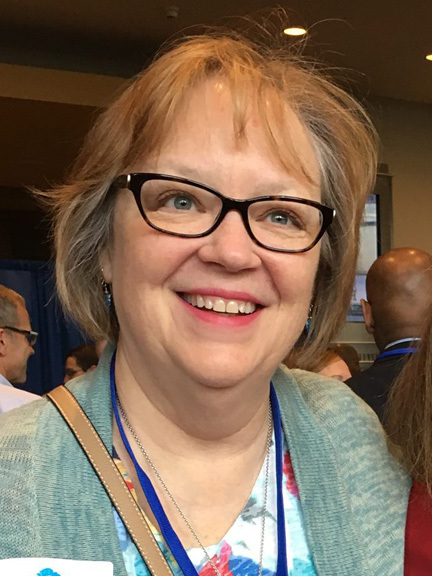 Honoree Cyndie McGuire will receive the the Clifford J. Hurgin Democrat of the Year Award. Editor note, April 3, 2019: No photos of the honorees were supplied by the BDTC for this announcement. We have requested a photos of the honorees and we will add them to this article as soon as they are received. 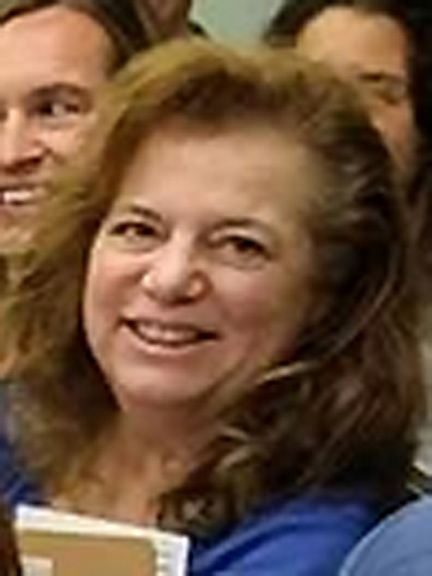 UPDATE April 5, 2019: Apologies for the low resolution photo of Cyndie McGuire, this is what was sent to us by the DTC.